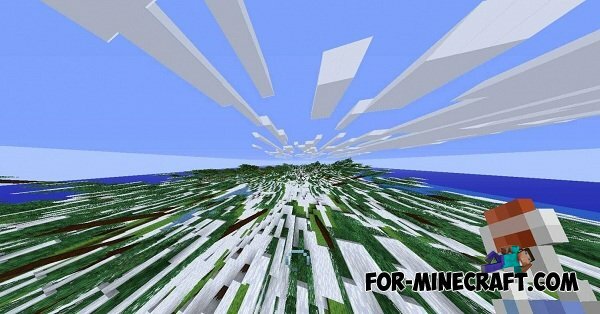 Brand new mod called FOV, which enables you to make changes directly to your field of vision in the gameplay. So now you will be able to pull the slider to the game the way you want. When you pull your slider, the camera angle will gradually change course and you will be able to look at the game from different angles gaming. It is very convenient and very often can be helpful to you. If you want to extend the functionality of this mod is, then download. Look face mod for Minecraft Pocket Edition 0.10.5Everyone knows if in Minecraft PC click on «F5", change the angle, first at the camera from behind, then the front. Live Heads Mod for Minecraft Pocket Edition 0.10.4Live Heads Mod - adds a companion in the form of live heads. To their spawn you will need to take a special item in the Creative or pull out of the mobs. NEWMOBS mod for Minecraft PE 0.10.4With this mod in your game will be a lot of brand new monsters, as well as a little change all the old mobs that were in the game.